Presentation skills are very necessary to be a good data miner/business intelligence analyst. A good presenter would have attention to detail, including the typeface used in his presentation. Helvetica is the most widely used sans serif typeface and has been a very popular choice of many corporate wordmarks. 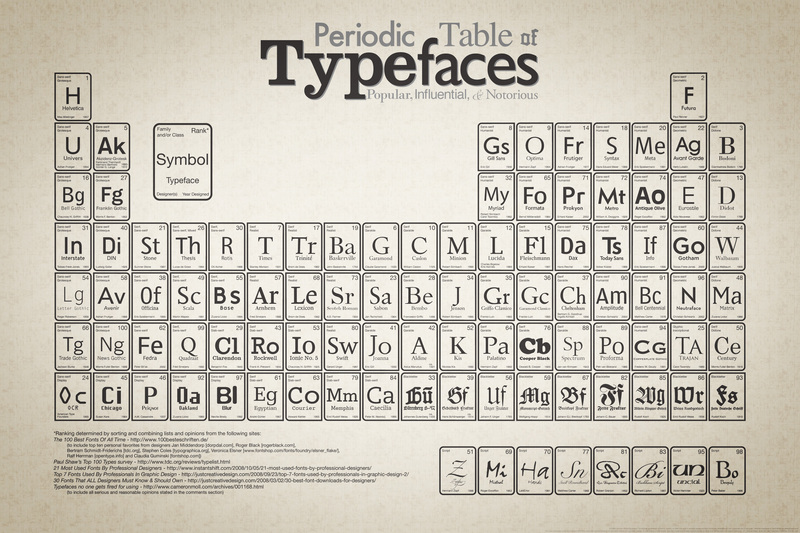 Below is a cool periodic table of typefaces created by Squidspot and all the typefaces are ranked on popularity (based on several sources of data) and Helvetica is Number One.